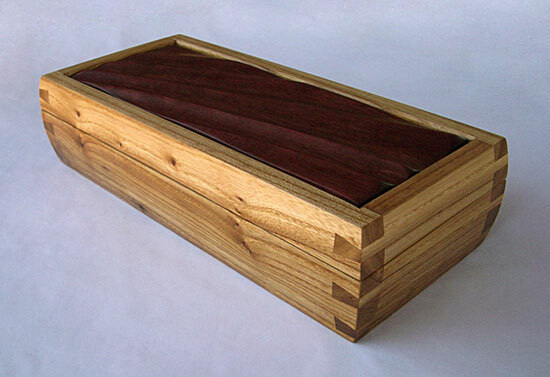 Red Elm and Purple Heart. Oil finish. Approx. 12 x 5 x 3.5 in.